Dr. Rashmi Kapoor is a Physiotherapist in Whitefield, Bangalore and has an experience of 7 years in this field. 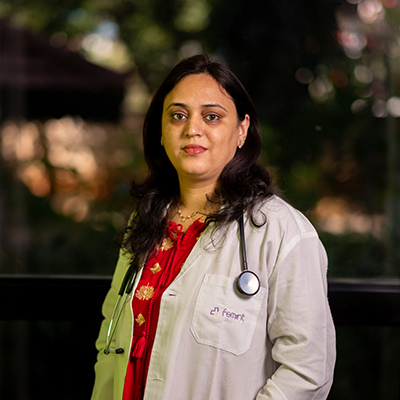 Dr. Rashmi Kapoor practices at Femiint Health & Fertility in Whitefield, Bangalore and Femiint Health Family Clinics in Seegehalli, Bangalore. She completed BPTh/BPT from Laxmi Memorial College of physiotherphy, Mangalore in 2005. Some of the services provided by the doctor are: Cryotherapy/Cold Therapy,Ergonomic Training,Joint Mobilization,Soft Tissue Mobilization and Heat Therapy Treatment etc. “Dr Rashmi is an extremely friendly and approachable person. She explained every single detail of my body and it’s changed through birth. After taking her classes, both my husband and I felt extremely at ease with the birth process.